This splendid book paints a rich portrait of the Russian avant-garde and the intrigues which it saved for posterity. 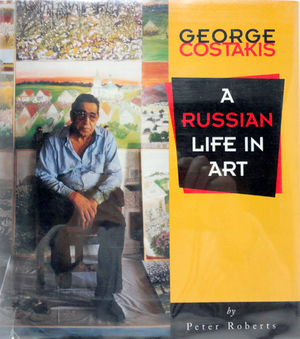 Roberts has written a fascinating history of the famous Costakis collection and its creator George Costakis who, for nearly thirty years, was an administrative clerk in the Canadian embassy in Moscow. Until his forced departure from Russia in 1978 he collected, continually and painstakingly, the abstract, constructivist and supremacist art of 1912 to 1930 which fell into official disrepute under Stalin. The author, a former Canadian ambassador to Moscow, is a first-hand authority on Costakis and his magnificent obsession.